The difference between having an amazing hunting experience that is scrapbook-worthy and one that turns into a horrible nightmare can often come down to having the best GPS for hunting. This may not be a big issue when you’re just going out to the old woods at the back of the family property, but what if your search for the game takes you into unfamiliar lands? The next time you’re getting ready for a day of hunting, make sure before setting out that you have the right stuff to help you navigate new territory with ease. Having the best handheld hunting GPS for will ensure that you have peace of mind while hunting game, and never have to worry about getting lost anywhere. The right GPS might even make your hunt easier by helping you to locate key areas like game trails, streams, fields, openings – and even where you parked your vehicle! With the increase of satellite accuracy and computing power, prices on the best hunting GPS gadgets have dropped over the years, which is great news for all avid hunters. Now getting this invaluable piece of equipment doesn’t have to mean going without any of your other hunting gear. There are a lot of reasons why handheld hunting GPS is so popular among experienced hunters. Using this gadget out in the wilderness will help you to perform better and stay safer at all times. 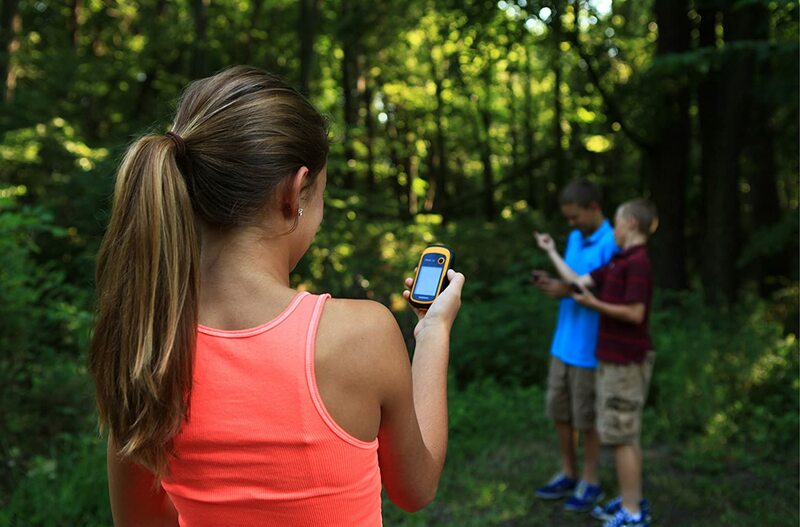 Many may question the necessity of owning a handheld hunting GPS gadget when they have a perfectly good smartphone that can do (almost) the same things that a hunting GPS can do. The short answer to that question is that the best hunting GPS units are specifically designed to log and store spatial data as you head into your hunting adventures in the woods, not even the best smartphones can compete with these gadgets in that regard. Unlike smartphones, these GPS units can withstand all kinds of harsh weather conditions, and they also come with a lot of amazing features that help you determine where you are in the woods – something that you won’t get on smartphones as their built-in GPS isn’t designed for use deep in the woods. Rather, it’s mostly intended for city dwellers. Another reason you may want to get a hunting GPS unit over using a smartphone is that most of them are shock-proof. So if you drop it you don’t have to worry about it breaking when it hits the ground (and this seems very likely to happen since you will be hunting in terrain that is precarious much of the time). Garmin is arguably the most popular name when it comes to outdoor GPS units, and rightly so. 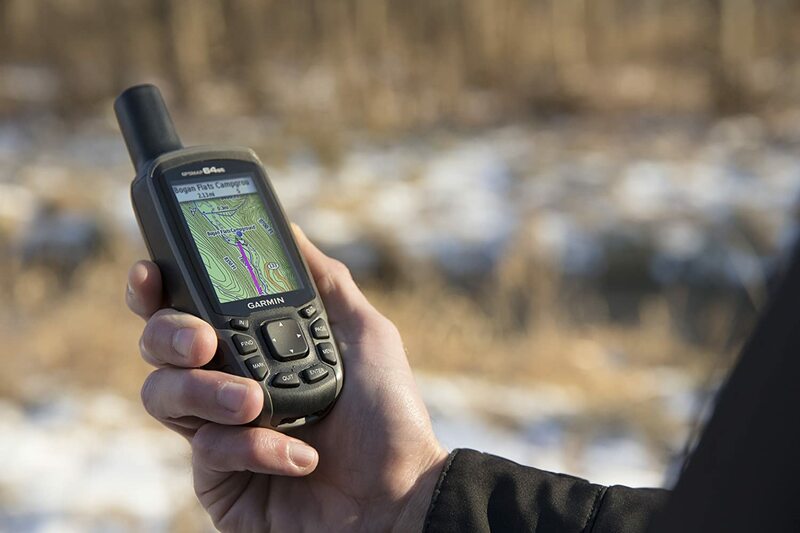 Over the past few years, Garmin has consistently produced a series of quality handheld navigation units for use by everyone from hunters and wilderness explorers to rescue teams all over the world. Although the display for the Garmin GPSMAP 64st is a little on the small side, the 2.6-inch color screen is very bright and makes reading it in the sun quite easy. This unit doesn’t come with a touchscreen, but that’s a small compromise considering how touchscreens usually fare in the wilderness. Most experienced outdoors people actually prefer a unit that doesn’t come with a touchscreen, but rather has hand controls to navigate the GPS menu. This handheld GPS unit comes with a dual battery system which means you can conveniently operate it on either disposable or rechargeable AA batteries. The Garmin hunting GPS also comes with 8Gb of internal memory. That’s more than enough to store your data for navigating any route you can imagine, no matter how long or complex. For those who may be interested in pairing this unit with other ANT+ units (for example, a heart rate monitor or a step counter) it’s possible to do so. In fact, the Garmin GPSMAP will even send and also receive push notifications from any connected ANT device. If your excursion into the woods is a long one, you will surely appreciate the light-weight nature of this handheld GPS device. It weighs in at a feathery 8.1 oz with the batteries installed, giving you no excuse to leave it behind on your next hunting adventure. It comes in a wide range of styles and features a lot of optional extras like Bluetooth, ANT, and the US topography. All in all, if you’re searching for a sturdy GPS device with a lot of good maps then this Garmin GPSMAP is for you. The next entry in our best hunting GPS reviews is the Garmin Foretrex 401 Waterproof Hiking GPS. This unit has a highly sensitive receiver as well as the Garmin HotFix technology which affords it accuracy and reception that is much more improved than its predecessors. You will never experience a problem with reception even deep inside canyons or in jungles where there is a lot of thick tree cover. What sets this model apart from a lot of other units on the market is that it can keep track of your heart rate and pulse while also tracking the pathways and routes that you’re taking. This is of particular value to those who have heart conditions that should be monitored constantly. Two standard AAA batteries power this unit, and it can keep going for 16 hours on one full charge. That’s absolutely amazing for such a feature-rich gadget! Another feature of the Garmin Foretrex GPS is the TracBack which lets users retrace their path on the screen. This unit also boasts dual position readout allowing you to see your current location in several different formats. If that already sounds a little too good to be true, you definitely won’t believe these next features. With this GPS device, you get even more features which include an electronic compass, a barometer, hunting and fishing information, sunrise or sunset times and a trip computer. A lot of customer reviews online report that after having tested this product in the wilderness, the majority are more than satisfied with the way it performs. It’s a well-constructed device from a trusted manufacturer and it delivers all it promises and more. Great value for money. It’s a super-light, weatherproof device that even straps to your wrists to keep your hands free to do other stuff. What more could you want in a GPS handheld device? This offering from Garmin has some really nice features which include a color LCD display which can be read even without a backlight. It also uses standard AA batteries. It’s fully water resistant, meaning that you never have to worry if your gadget falls into the water or if it rains while you’re out hunting. You will still be able to find your way around with this device even if it gets soaked. This GPS comes with a base map which covers a lot of main streets and highways. By downloading the Topo 2008 maps, you will essentially have a unit that will show you most of the mountain trails, lakes and forests to help you on your hunting expeditions. 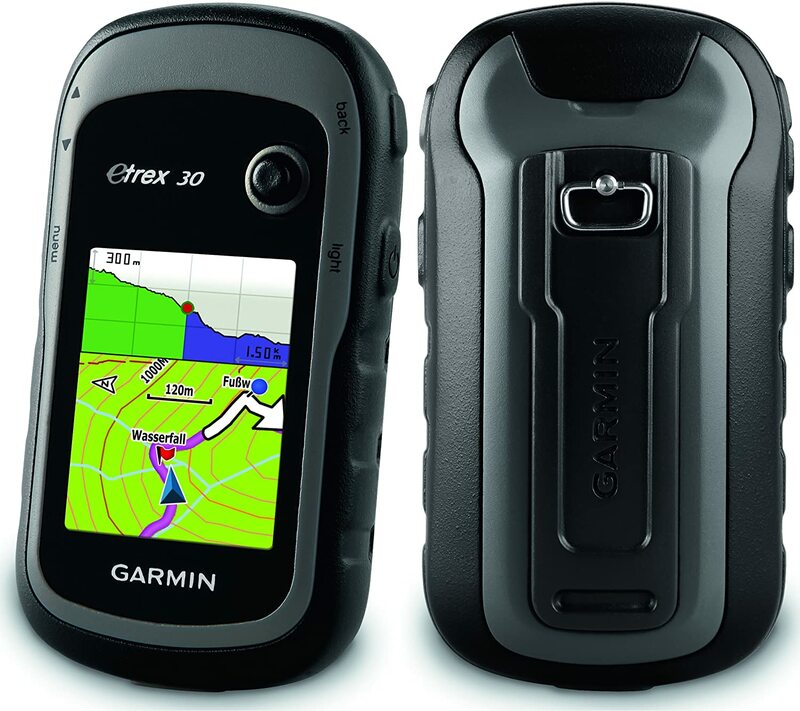 The Garmin eTrex 30 also comes with a micro SD slot to make it easy for you to load the maps you prefer onto your GPS handheld unit without having to connect it to the computer. An electronic compass built into the unit, and it also comes with a barometer that will be of great assistance in determining your location and height. This feature-rich GPS is a favorite among a lot of outdoor enthusiasts, and many have left glowing reviews about the durability and accuracy of this device. One customer actually lost his unit in the woods and found it almost a week later laying on the forest floor. It had been through the cold and rain and was covered in dirt and grime, but it still worked perfectly! They don’t come much sturdier than that, we can assure you. This handheld GPS was built with the most durable, dust-proof and waterproof material on the market right now, and it will always perform as advertised through any and all kinds of environments you can throw at it. At a weight of only 6.4 oz, this compact GPS model makes it easy to take it everywhere you go (even while taking a dip in the lake). This Garmin model is one of the more budget-friendly ones. It has a high-sensitivity receiver with HotFix and GLONASS which make for super fast positioning and provides reliable signals. Generally, this GPS unit can lock onto 18 satellites given that there are no obstacles. It has an accuracy of 7 feet, and will still give you a great signal even if you’re deep within a forest or inside a canyon, you never have to worry about getting a satellite link when you have this handheld GPS from Garmin. It boasts a display resolution of 128×160 pixels on a screen size of 1.4”x1.7”. 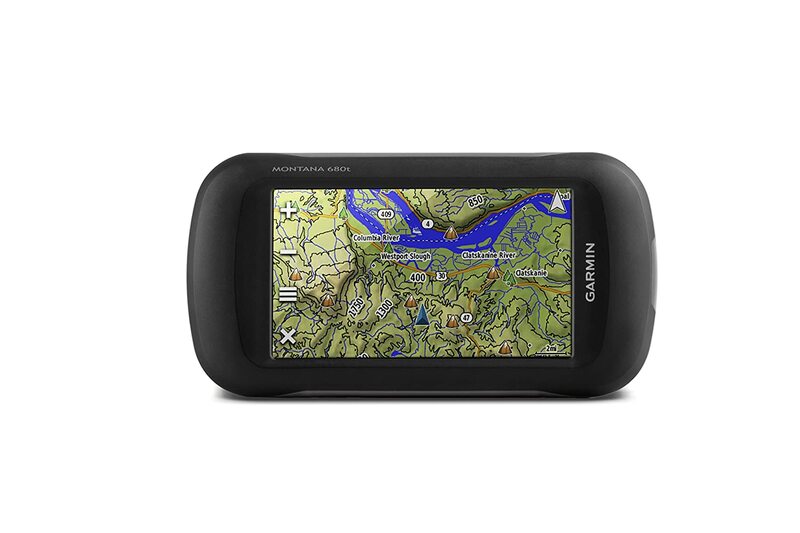 When you take the Garmin eTrex 10 GPS hunting with you, you can choose the order of screens to view, such as Satellite screen, Boot up screen or Map screen. You can easily check to see how many satellites have been found by going to the satellite screen after turning your GPS device on. Pressing the back button takes you to the map screen. It’s so easy to use, we’re sure even a child could do it without much instruction. The large, bright color screen display that this model has is an added advantage because whether you’re in bright sunlight or under heavy tree cover, you’ll still be able to read this GPS without any back-light. This unit takes just 2 AA batteries and they last an amazing 20 hours. You never have to worry about your GPS going off while you’re on your hunt. You can even lower the back-light or turn it off completely to lengthen the battery life to an almost unbelievable 25 hours! This GPS model comes with a worldwide base map so that you can mark and enter pay points easily wherever you are in the world. The Garmin eTrex 10 GPS unit is a solid choice for hunters looking for a basic GPS device which is affordable and comes with a lot of the great features that some of the more expensive models have. 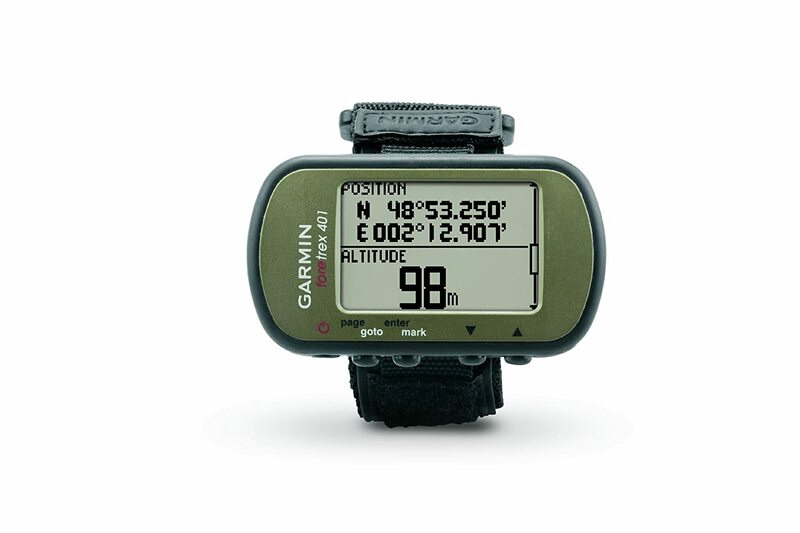 This is yet another amazing GPS unit from Garmin that comes with over a quarter of a million geocaches preloaded. With so many alternatives to choose from, you’re going to have to try extra hard to get lost! With this device, you will be able to easily explore your surroundings with the peace of mind of mind of knowing that your path is always being tracked and you can get back home with ease. The Garmin eTrex 10 Worldwide Handheld GPS Navigator has a large 4″ dual orientation, and it comes with a touch-screen display that is simple to read and operate, making it easy to find your directions even in harsh sunlight. No matter where you are, this unit will show you clear and crisp images. The Garmin Montana 680T has a more contemporary display. It comes with a 4” dual orientation touch-screen as well as an 8-megapixel camera with autofocus. The camera takes high-quality images with great resolution and automatically geotags all photos taken with coordinates. A very useful feature for all outdoors people who may want to quickly capture game as it passes near them (or maybe just to take some Instagram-worthy selfies). Now that’s putting technology to good use. I know a lot of nature lovers will absolutely love this feature. This GPS device is durable and built to outlast any storm you may encounter on your hunting trip. No matter the climate – hot, cold, rain, mud or snow – this unit will perform exceptionally through it all. The Garmin 680T GPS comes preloaded with tons of features including the top US 100k Maps, a subscription to Birds Eye Satellite Imagery and an electronic compass and barometer so that you always know your location and height. Buying a dependable GPS model these days can prove to be a daunting endeavor because the market is full to overflowing with great units at reasonable prices, making it hard to know which one to get that will best suit your needs. No matter what your budget is, make sure that you choose a GPS that is extremely capable of catering to your GPS needs when you’re out in the woods. Use this buying guide to assist you in making the right choice. Some units have better reception than others, and a lot of them can find your position in super-quick time. The antenna size on your GPS unit determines how quick it will be at locating your position, with the larger ones working much faster than their smaller counterparts. The number of satellites present in the area also greatly influences how accurate the images displayed will be. Most GPS models use the 24 satellites which belong to the US Department of Defense. A lot of hunting GPS devices these days come with touchscreens. These can be a bit more pricey than those without touchscreens, but they are also more comfortable and familiar to those who are used to smartphones. Unless you prefer the old-school approach, you may want to consider getting a GPS model with a touchscreen. Just be aware that in harsh weather you may have a problem when you have to navigate the screen wearing gloves. Snow and rain can also confuse the screen. Depending on wherever you intend to use your hunting GPS unit, there are a lot of features you may want on your device. Like an accurate electronic compass which can tell you which way you’re facing even if you’re not holding the unit steady, a barometer/altimeter which measures your height above sea level (and also doubles as a very effective weather prediction tool), an assortment of preloaded maps or aftermarket map downloads. Where you intend to use your device will ultimately determine what features are more important to have in your GPS. In the world we live in today, it’s very important to have connectivity no matter where you are. Manufacturers of the best GPS for hunting have created a solution with models featuring Bluetooth to share data with other users easily, and they have made it easy to get map downloads and software updates. This could be the most important feature of your GPS model. Having a GPS device that can do anything you could ever need a GPS to do is no good if it won’t keep battery long enough to see you through your hunting adventure and safely back home. You need to choose a GPS that won’t need to be recharged every few hours. In this regard, a GPS with replaceable batteries may be your best choice. You also need to consider to the size of the unit you intend to purchase. Most handheld hunting GPS units are light and small enough to hold in your hand, strap to your wrist, or fit into a pocket with ease. Some units are a lot smaller than others, and those with complex features tend to be a bit bulkier than the simple ones. If you can do without the advanced features like cameras, touchscreens and such, then opt for a smaller, lighter and less costly model. The model you choose must be one that provides ease of use. Otherwise, you have to spend time trying to learn how to navigate the menu and finding out how to make the functions work. Most handheld hunting GPS models are somewhat easier to use than the ones most people use in their cars, but it’s still worth checking out the level of ease with which you can operate the one you’ve chosen to buy. The best hunting GPS doesn’t have to be the fanciest or the priciest. As you have seen from our review of the top hunting GPS models on the market right now, you can get one with all the features to fulfill your needs while in the backcountry without breaking the bank. Whether you need GPS with advanced computing power for finding your way in unfamiliar territory or just a simple gadget to help you find where you left the ATV, there’s a model to suit every need and budget. Remember to consider whichever you will be using the GPS for most of the time before you decide the one you’re going to get.